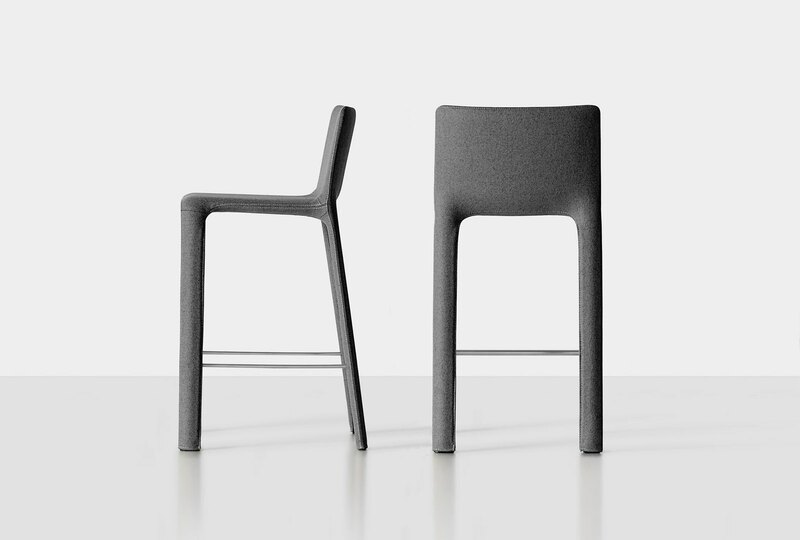 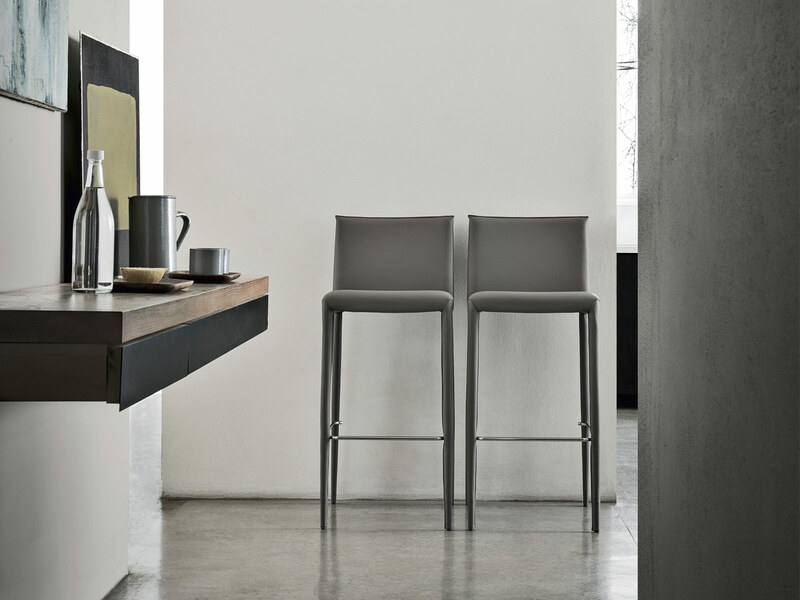 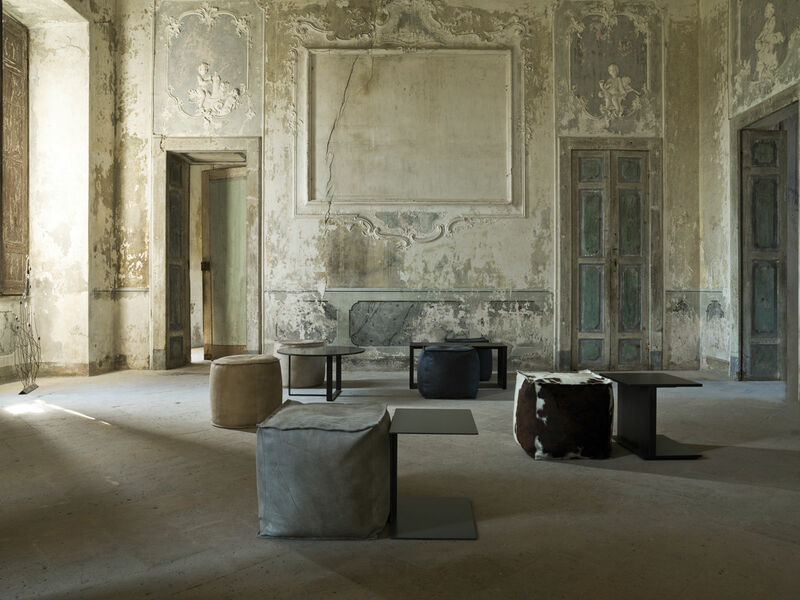 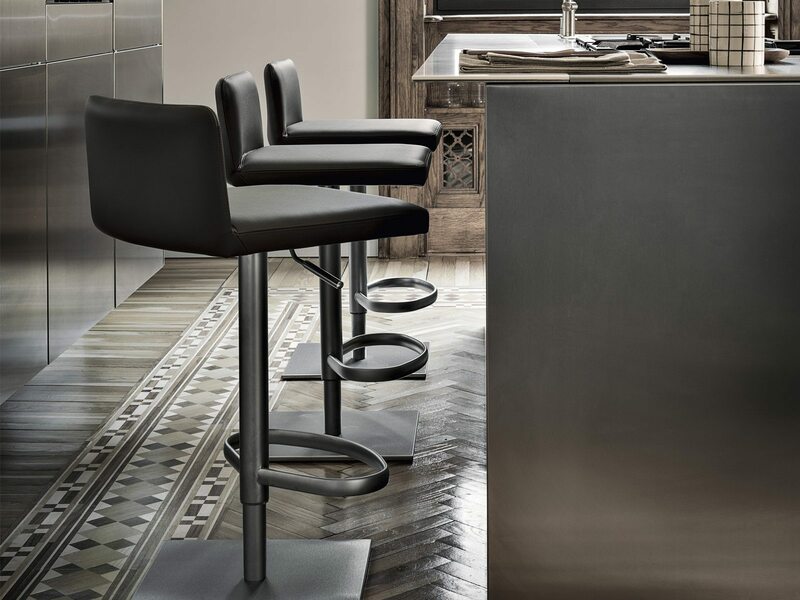 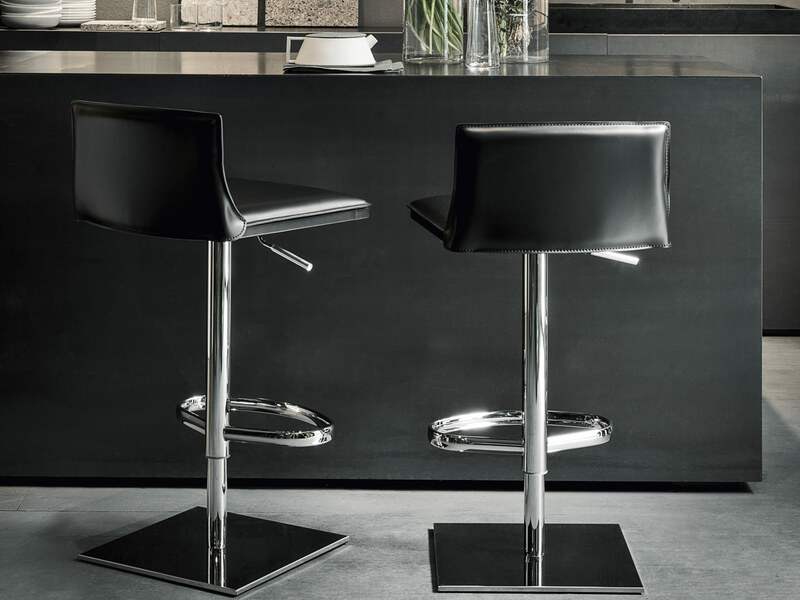 The BCN stools have been created thanks to ongoing research into new materials and technologies. 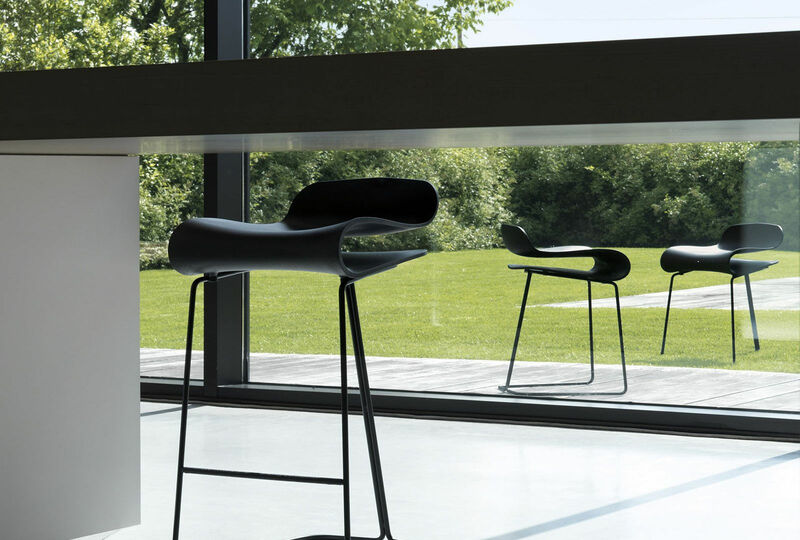 The seat, visibly sinuous with an ergonomic feel, is made of PBT, a highly flexible and durable thermoplastic material, which is put to unusual use in the world of design. 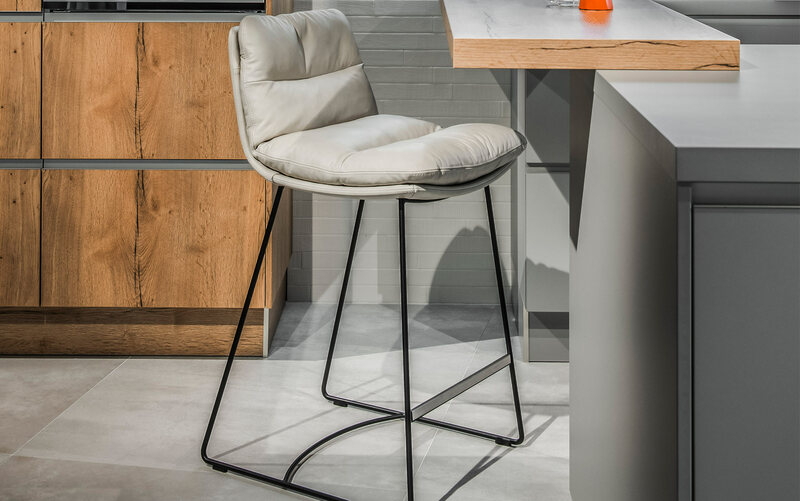 BCN is available with three different bases: metal rod frame in 3 heights, wooden legs or height-adjustable metal column base. 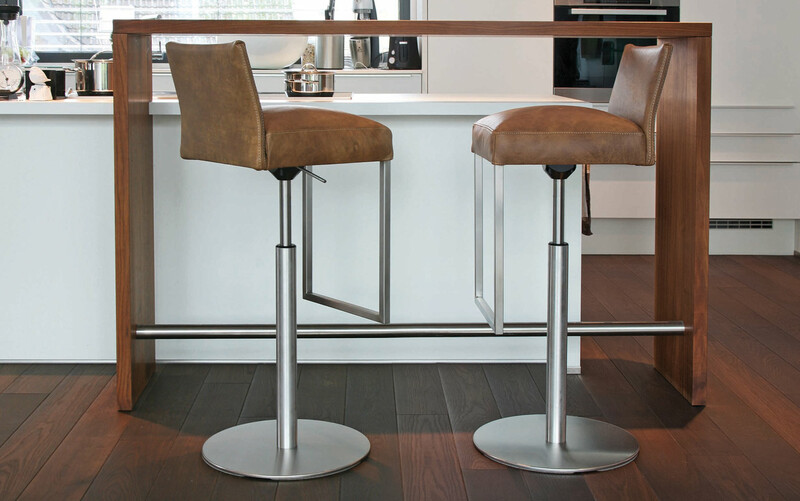 Metal base polished chrome or lacquered (7 colours) or beech wood legs (natural or lacquered in any of the 7 colours).